Let's talk about... Ear cuffs! This statement piece is a huge trend right now! 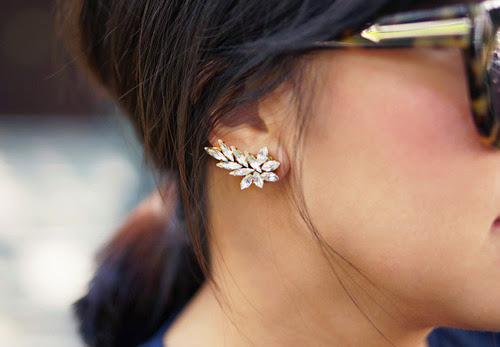 From the more discrete ones to more elaborate, there are ear cuffs for all the tastes, there's no excuse to not use one! Vamos falar de... Ear cuffs! Esta 'statement piece' é uma grande tendência neste momento! Desde as mais discretas às mais elaboradas, existem ear cuffs para todos os gostos, não têm desculpa para não usar uma! After this you will have to login on Rafflecopter (below) through your Facebook or email account. Good luck! The winner will be announced on the 2nd of November. Estoy enamoradisima de estos complementos!!! acho fofos mas somente os mais delicados.